MOUNT VERNON - A circuit court should not have denied a man’s request for habeas corpus because of improper venue and lack of jurisdiction, the Illinois Fifth District Appellate Court determined as it reversed and remanded the case. 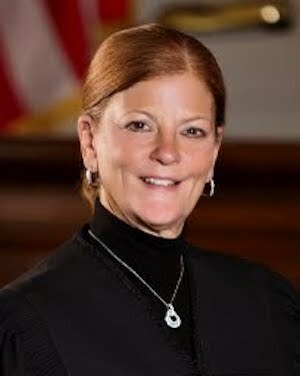 Justice Judy Cates wrote the Rule 23 decision, and justices James R. Moore and John B. Barberis concurred. Pierra A. Montanez sued the Menard Correctional Center warden after he was held in the correctional center. Montanez had been convicted for aggravated kidnapping, aggravated vehicle hijacking, and first-degree murder on two counts. He was sentenced to life in prison for the murder convictions and consecutive terms of 27 and 20 years for the others. The suit says Montanez requested habeas corpus against a warden, Jacqueline Lashbrook, in St. Clair County Circuit Court. The lower court judge, Stephen P. McGlynn, denied the motion. Montanez then appealed. The appeals court noted that Montanez was convicted and sentenced in Cook County but jailed in Randolph County at the time of his complaint. Although the lower court correctly determined St. Clair wasn’t the proper venue, it still made a key error, according to the appeals court. Although Montanez filed in the incorrect venue, it wasn’t a big enough error to rid the lower court of any jurisdiction. The appellate court offered an alternate solution to dismissing the case and said the circuit court should simply transferred it to the correct venue, if Montanez files a motion in time. Montanez alleged his murder indictment didn’t properly display an accountability theory, the first-degree murder statute is unconstitutional, his natural life sentence was under a statute that had been revoked at the time he was sentenced, and that the circuit court lacked jurisdiction in his sentencing. He also argued his indictments for the aggravated charges were void. That court denied his petition, ruling it didn’t have jurisdiction and saying Montanez submitted the charges in the incorrect venue.